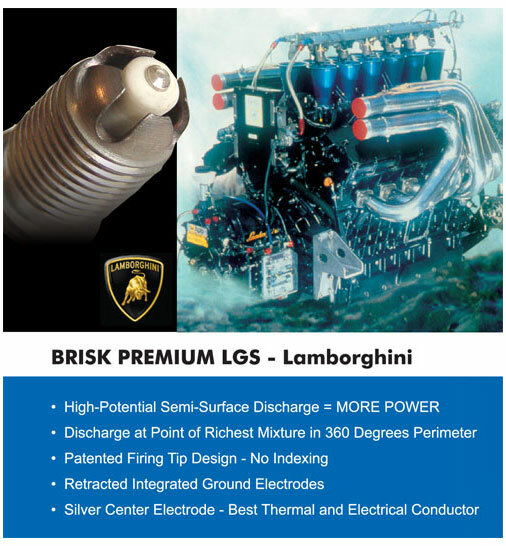 BRISK PREMIUM SILVER RACING LGS Spark plugs have been developed after two-year cooperation with Lamborghini Morori Marini. 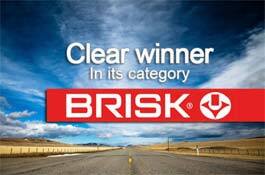 This spark plug utilizes extremely long glide-spark and massive integrated side electrode. Massive integrated side electrode ensures superior heat removal from active part of the spark plug even in the most extreme conditions, therefore eliminating electrode burn off seen on conventional spark plugs in race applications. Extremely long glide spark (almost 3mm) protrudes deep into combustion chamber, carries more potential charge and is unshielded by the conventional side ground electrode. The air and fuel mixture is ignited more spontaneously and flame front spread is unrestricted and more uniform thus aiding in good combustion of fuel. 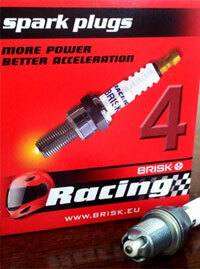 If you wish to buy the BRISK SILVER RACING LGS PREMIUM SPARK PLUGS for your car, Please goto our Online Buying Section.